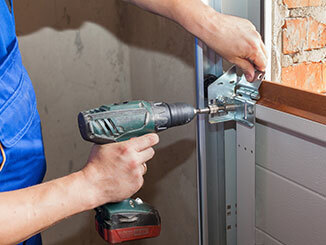 All the parts of your automatic garage door have the potential to wear or break down over time. Sometimes determining the exact cause of the problem can be difficult. Other times, the reason for the breakdown is obvious. Our technicians can help you with both these scenarios and make sure your door becomes fully operational once more. There are all sorts of mechanical components involved in the movement of your door: The panels which make up the door itself; the rollers and the tracks which guide the door along; and the springs, which do the heavy lifting. Though these parts are sturdy, they can become damaged over time meaning a repair or replacement will eventually become necessary - this is definitely something our team can help you with. Your garage door springs are under a great deal of stress every single day. Every time you use this system, they go through a certain amount of wear and tear. Replacing a spring is one of those tasks that should never be carried out by an amateur without training. To keep yourself safe and unharmed, give our professionals a call and let us take care of this tricky job for you. If you suddenly discover that your door won't open, though you can hear the opener running, something could be wrong with a gear or with the circuit board. Usually, it requires a part-replacement – again, our repair specialists are of course happy to help with this. We don't aim to be a company who caters only to the wealthy. That's why we try to make our repair services affordable, without compromising on quality. Contact our team at Garage Door Repair Merrick today and let us take care of any related problem you're currently dealing with.